Karzai on Taliban: "I'm still calling them brothers"
Afghan President Hamid Karzai renewed his intention to negotiate peace with the Taliban in an interview broadcast Wednesday, calling the group "brothers," which he has been doing for years. "I'm still calling them brothers," Karzai told Al-Jazeera. "I'm still trying to have them be part of the country again and participate in the Afghan life, as we all do, the Afghans." Karzai told the Qatar-based television network that he wants to work toward peace with the militant group that controlled the country before its ouster during the U.S.-led military campaign in the wake of the Sept. 11, 2001, terror attacks. "We never planned to eliminate the Taliban, not me, not the Afghan people, not the Afghan government," Karzai told Al-Jazeera. "The moment I was declared the head of the interim government ... I declared complete amnesty to Taliban ... from the leadership to everybody else." NATO forces are expected to withdraw all combat troops from the country before the end of 2014. In an interview broadcast on the "CBS Evening News" Tuesday, the top commander of U.S. and NATO forces in Afghanistan, Marine Gen. Joseph Dunford, told CBS News correspondent Elizabeth Palmer that he hasn't decided how many U.S. troops he'll recommend that President Obama keeps in Afghanistan after 2014. Those Americans, which Palmer reports has been hinted to be around 9,000, would stay in the country to train Afghan forces. Karzai also told the network that he has no plans to run for a third term as president in 2014. "The Afghan constitution doesn't allow it," Karzai told Al-Jazeera. "There are two terms allowed, and I will be happy ... It's good for me and it is good for the country that the constitution works, that the next president comes, that the elections are held." 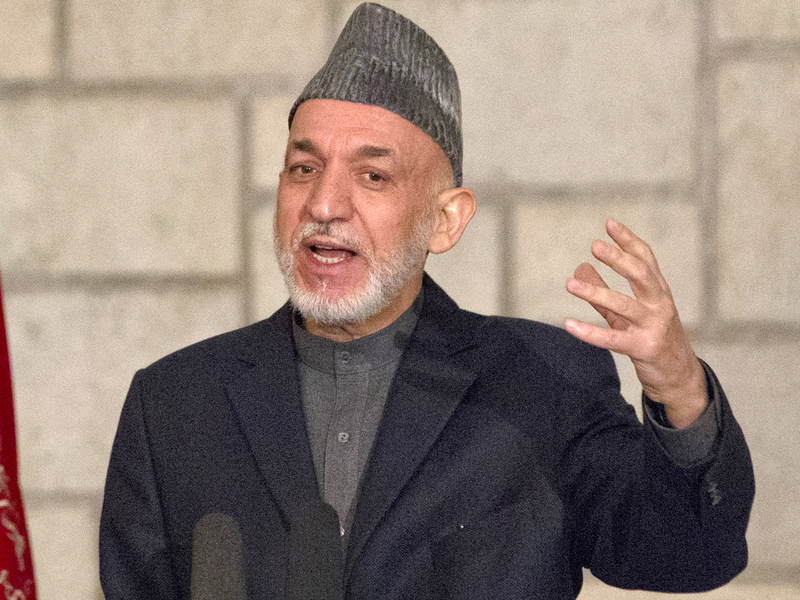 After leaving the presidency, Karzai said he plans to stay in Kabul and assist the country in other ways, Al-Jazeera reports.